Not a pedal bike, not a scooter and definitely not a motorcycle, e-bikes seem to be causing some confusion about how this new form of transportation should be regulated. But unlike scooters, e-bikes don’t require a licence or insurance. Unfortunately for e-bike riders, I don’t think a lot of people like them. For drivers, they are slow in their lanes (they can only go a max of 32 km/h). For cyclists, it’s frustrating when they end up in your bike lanes because it’s illegal and could be dangerous. CBC featured an interesting video on e-bikes yesterday, showing that some are completely unaware about the rules of the road. Watch it here. For the most part, I think e-bikes are stuck in this weird place, and both cyclists and drivers are frustrated by them. If you ride an e-bike, I’d love to hear from you and learn more about your perspective. My chain keeps coming off. My gears are loose. My back brake isn’t working. And my back tire is fraying. My back tire has been wobbly for the last few weeks. 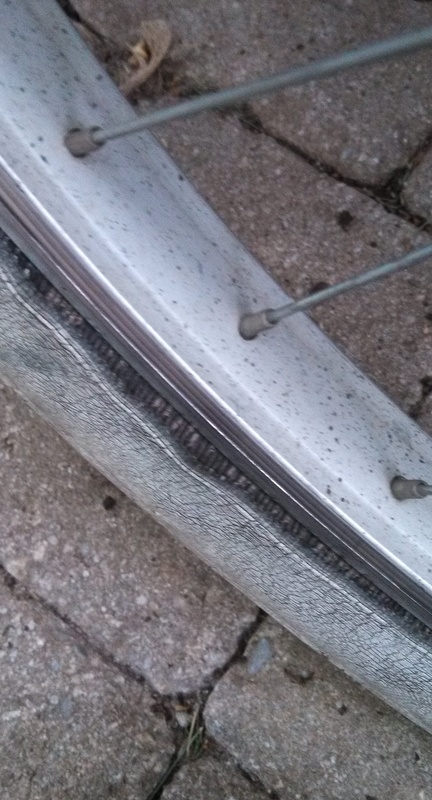 But I’ve been ignoring the wobble until a fellow cyclist rode up beside me and told me I better get my tire looked at ASAP. So I finally took it to MEC last night. Because my tires are so friggin’ fat on my cruiser, it’s going to cost a lot to get a new one. 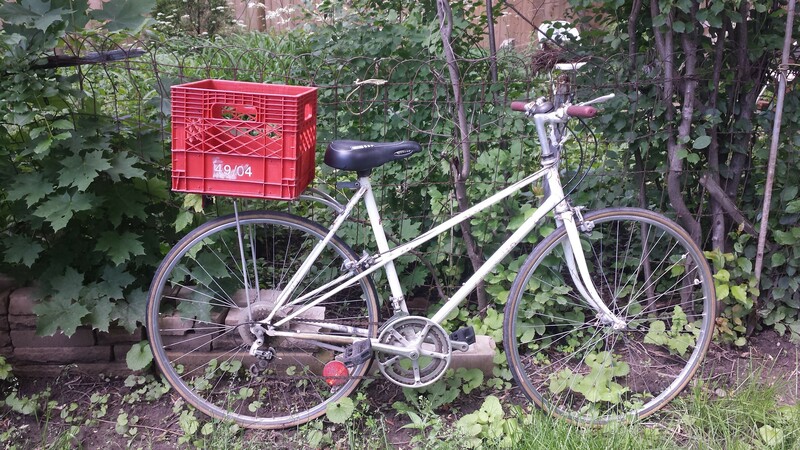 Now as cool as my bike looks, my grandpa bought it from Canadian Tire … i.e. it was a Canadian Tire special. The cost to fix up this bike is almost the cost he would have paid to buy it new. So I’m torn here. Fork out the money on this bike (since it’s pretty damn special)? 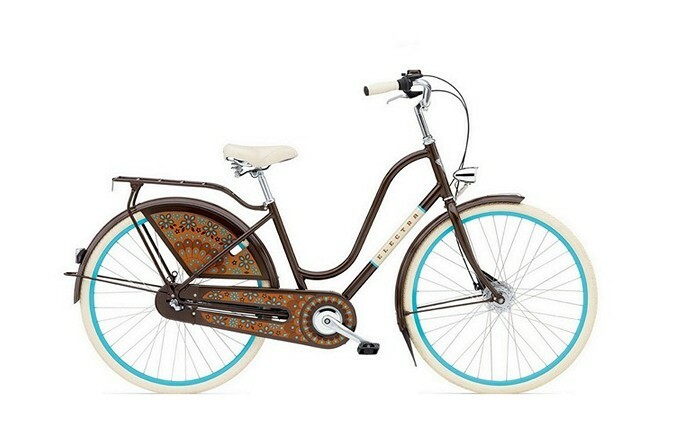 Or invest in a brand new one (like an Electra!)? Tough decisions … but I need to make one soon since my current bike is fairly unsafe. Maybe I should keep my eye out for end of summer bike sales?! Let me start by saying the cyclist is alive. Eventually I watched him stand up and slowly walk to the police cruiser. But he was hurt badly. And he was making a painful noise I’ll never forget. It happened at King & Niagara. The driver, who was probably in his late teens or early 20s, was turning left on King. The cyclist was going straight south on Niagara. When he was hit, he flipped (his legs up in the air) and landed on the ground. The driver pulled over and ran to the cyclist. So did many pedestrians and the police were there within 4 minutes after the accident happened. The driver kept saying “I didn’t see him!”, “I didn’t see him!”. And I believe the kid who looked like he just passed his G2. He likely didn’t see him. He probably wasn’t looking for a cyclist. The thing is, the cyclist was likely riding at a very fast speed. So if he was coming south on Niagara then the driver probably thought he had enough time to turn or didn’t even think to look up the street for the cyclist. The cyclist was wearing a helmet. If he wasn’t, I can’t imagine what kind of state he would be in. I think he landed on his shoulder and I think he’ll be spending some time at the hospital tonight. I hope he’ll be OK. I wonder when he’ll get back on his bike? And I wonder when the young kid will feel comfortable driving again? I don’t blame either for this accident. To help prevent it … maybe the cyclist should have slowed down when driving through a busy intersection, and the driver should always be aware of cyclists. To me, tonight wasn’t a case of the blame game. Instead lets figure out the best way to improve our city’s biking infrastructure. Because we can do better. Much better. And that driver is my mom. Every time I’m driving with my mom in the city, she expresses her frustration about cyclists. I decided to sit down with her this weekend to discuss her take on biking in the city. Here’s what she had to say. Q: Do you hate all cyclists … other than me? A: No! Absolutely not. I want to understand their choices when they do not obey the rules of the road. It’s frustrating when cyclists don’t obey the rules because I do. It’s the basic stuff like stopping at stop signs. It puts them in danger and I’m the one who has to live with it if I hit them. Q: What bothers you the most about cyclists? A: The unpredictability of them. What I mean by that is you don’t know if it’s someone who will obey the rules. So as soon as I see a cyclist, I don’t know if it’s someone who will cut me off, run a stop sign, etc., or not. And those cyclists who do not wear helmet – I just don’t understand that. So ultimately, I’m nervous with all cyclists. Q: How many cyclists do you think obey the rules? Sadly, I don’t even think it’s even 50/50. From my experience, it’s more like 30/70. 30% who obey and 70% who do not. Q: Do you think car drivers want to share the road with cyclists? Car drivers want to share the road but when cyclists cut in front of them, or drive in between the cars, it’s scary. From the drivers perspective, I’m the person who might hit you and that’s frightening. 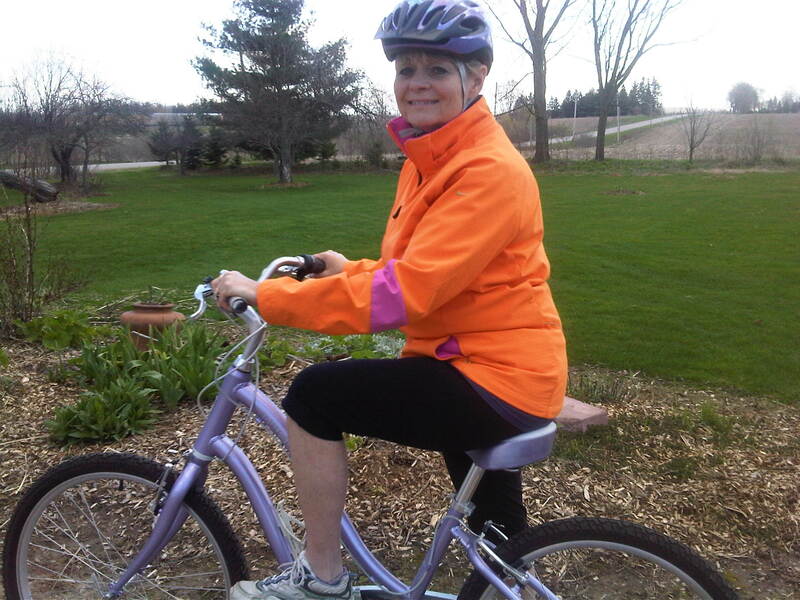 I don’t know if some cyclists get that – the impact it will have on someone who could hit you. Q: If there’s one thing you think would make a big difference, what would it be? A: A respect and understanding between each other on the road. Q: Would you ever consider riding your bike in the city? A: Yes. And I would obey the rules of the road and wear a helmet! Q. Would you ever consider riding on Queen St or Spadina? Q: Do you believe cyclists and car drivers could live in harmony? A: Absolutely. It will just take a change in attitude on both parts. This kid, who just learned how to ride his bike, is full of great life lessons. This video reminds me of another amazing kid – when a girl accomplishes her first ski jump! Both videos are great reminders that we can do anything – like having the courage to ride your bike through busy city streets. 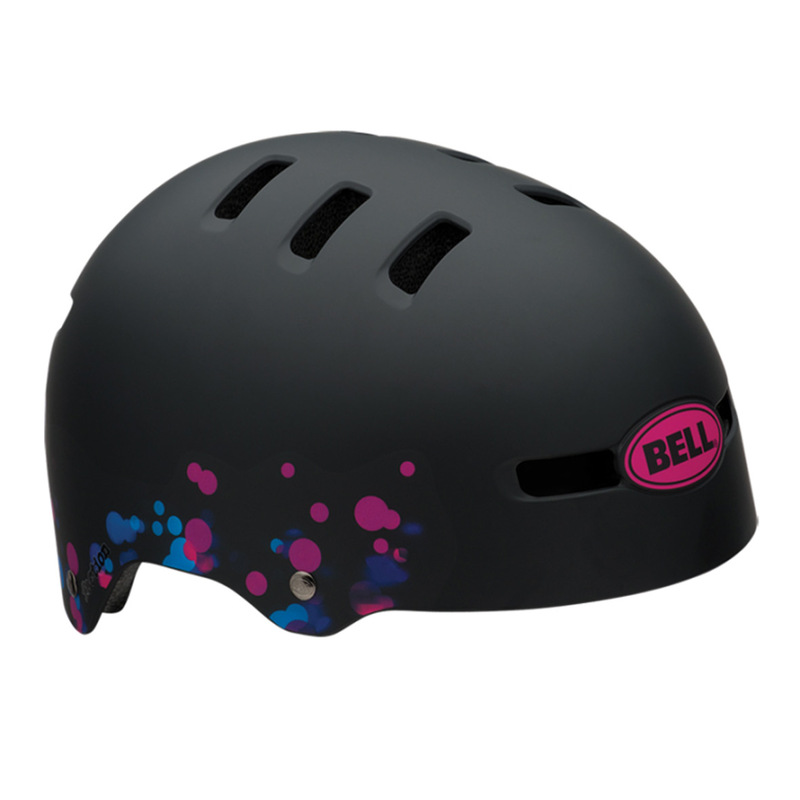 Help me pick a new helmet! My good friend did a little research for me the other day. He went down to Lakeshore on a Wednesday morning at 8:30 a.m. between Spadina & Colborne Lodge to get a read on how many Torontonians were wearing helmets. I thought his findings were actually pretty good! The percentage of people wearing helmets was actually quite high! So I was happy when he reported these findings. Now I have to admit something … I’ve been like those 7 women in business attire not wearing helmets, because I lost it (either at a friends or at the bar) about a week and a half ago. As I mentioned in my previous blog, I’m clearly being an idiot. So it’s time I get a new helmet and I’d like you to help me pick one! I particularly love this one because it has a four leaf clover on the top! 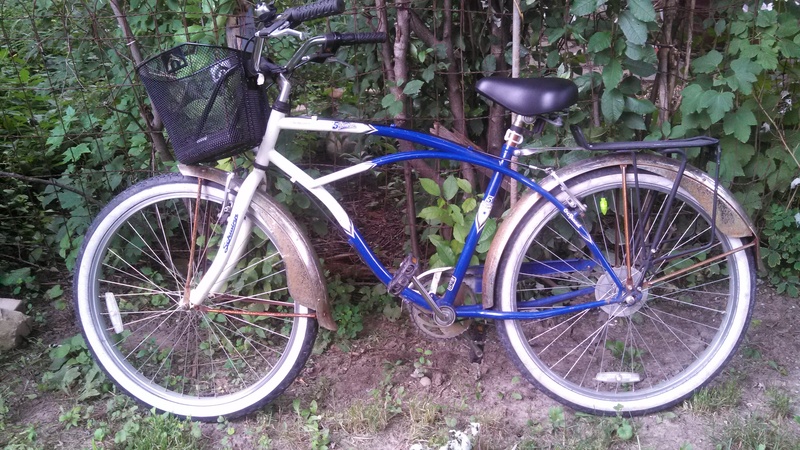 Since my bike is my Irish Grandpa’s old bike, I think this one could be a winner? After all, you need a lot of luck riding around those streets. Price $69.95. 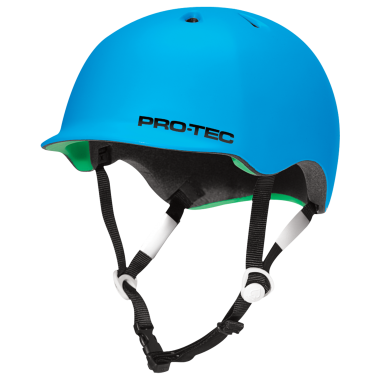 Recently I’ve been admiring Pro-Tec helmets. I checked out their site and found this nice Gumball Blue! Another good option. Price $79.95. This is very similar to my last helmet but I think this time I’d go with a dark colour because white helmets get dirty very quickly. I’m mostly a fan of the price. Price $49.99. Let me know which one you think would be best! 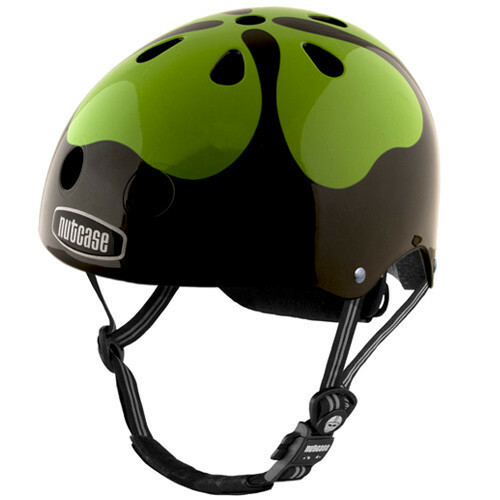 Or please share another brand/helmet that you’d like to suggest. This is going to be a rant kind of post. One of the most frustrating things about biking around the city is the very limited number of bike posts in some areas. Last week I went to a concert at the Molson Amplitheatre. Now it was a Bob Dylan concert so I’m sure it draws a certain crowd, but I couldn’t believe how many bikes there were and how many bike racks there weren’t. Bikes locked to anything you could find! There were bikes locked to literally anything cyclists could find. All in all, it’s time for the Molson Amplitheatre to get more bike racks. The esplanade is another area that could use some bike posts. There are literally no locking rings there and it’s such a busy area. People end up locking up to the restaurants’ patio fences. But it’s definitely not ideal for the restaurant or cyclists. I recently found out that you can actually suggest to the city where you’d like to see new or more bicycle locking rings. Please direct bicycle locking ring requests to streetfurniture@toronto.ca. This is great to know! There are quite a few locations downtown I would suggest have more locking rings, especially in areas where there are so many cyclists like Ossington and the Annex. Are there areas in TO where you notice it’s nearly impossible to lock up?